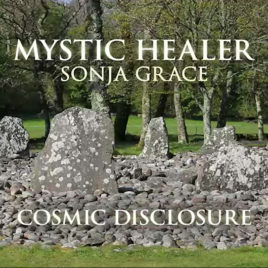 From the heart of Scotland, join Sonja Grace for an incredible question and answer session. Sonja uncovers the truth about where the human race originated from, who is God, the devic kingdom, karma and more! 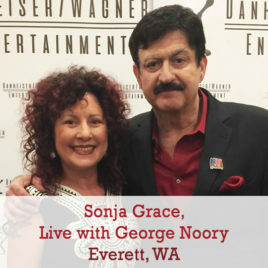 Sonja Grace is interviewed live at the historic Everett Theater in Everett, Washington with George Noory! A sold out show with over 800 people, Mystic Healer Sonja Grace talks to a stage four cancer patient and shares with the audience what happens to us when we die. George Noory asks Sonja about her new book Spirit Traveler and they discuss Skelig Michael off the west coast of Ireland and altered gravity. Hear Sonja take questions from the audience where she provides immediate clarity and understanding.